Connecticut has among the lowest poverty rates in the country and its median income is rising, though at a slower rate than in all but four other states, new data from the U.S. Census showed Thursday. Meanwhile, the data showed that more than 40 percent of Connecticut’s 18- to 34-year-olds still live with their parents. Middle-class incomes rise; rates of poverty, uninsured fall in U.S. 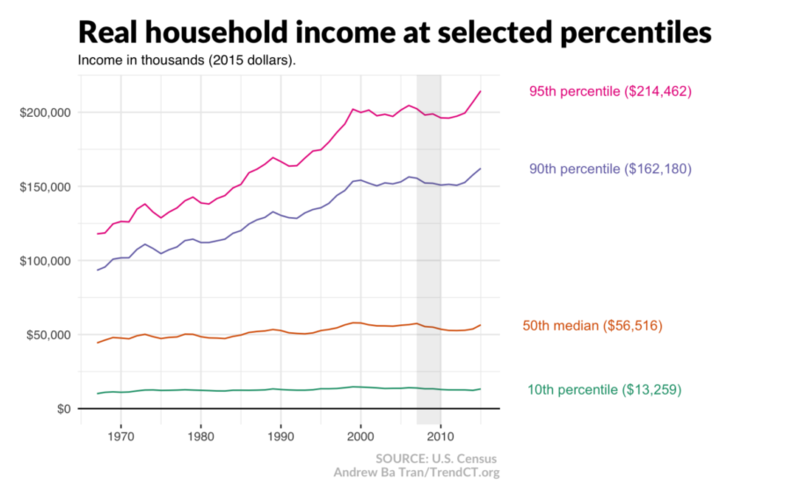 Median household income increased 5.2 percent between 2014 and 2015 while the percentages of those in poverty and those without health insurance declined across the country, the U.S. Census Bureau reported Tuesday. 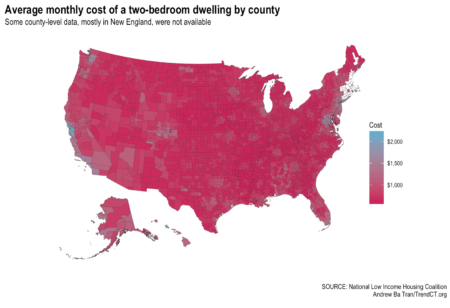 Two of Connecticut’s metro areas rank in the top ten across the country for cost of a two bedroom dwelling. Is wealth leaving the state? 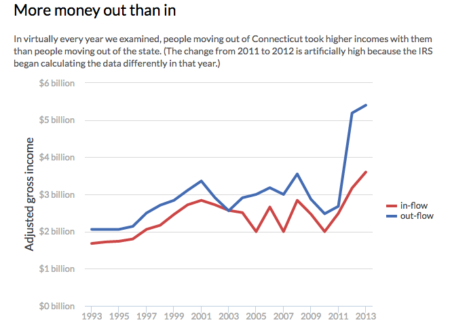 The claim that wealth is leaving the state is often discussed, but does the data back it up? We analyzed two decades of IRS statistics on income among people moving from state to state to see if we could answer that question. 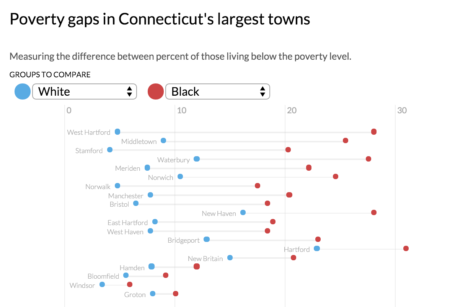 Connecticut is experiencing economic segregation that inhibits economic mobility— a detriment not only to the pursuit of equal opportunity for children in these communities, but to the state’s future workforce and economic success as well. 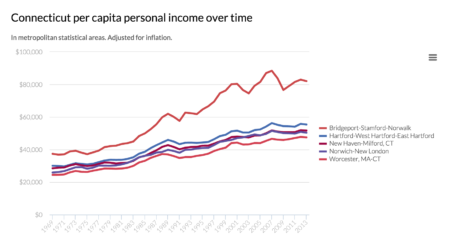 TrendCT wanted to see how individual metropolitan areas in the state contributed to the country’s highest per capita income and how that’s changed over time.